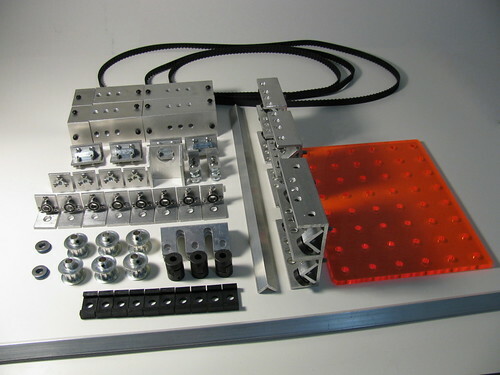 This kit includes 12”- and 18”-long linear rail, accompanying set of linear bearings, set of sliding elements for use with perforated angle, shaft mounts, leadscrew stock (uncut), lead nuts, belt clamps, belts and pulleys, motor mounts and couplings for 3 motors. 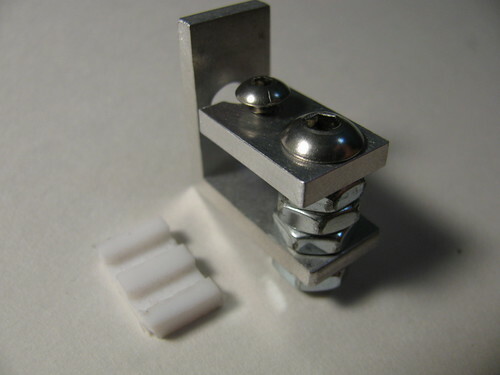 Dremel mount, set of captive nut mounts and 6”x8” ¼”acrylic table are included as well. 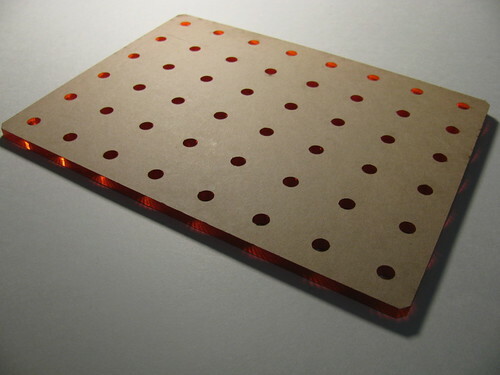 Perforated angle is not included - see Structural Kit A.
Contraptor set is in beta. The set uses imperial measurement system (inches). 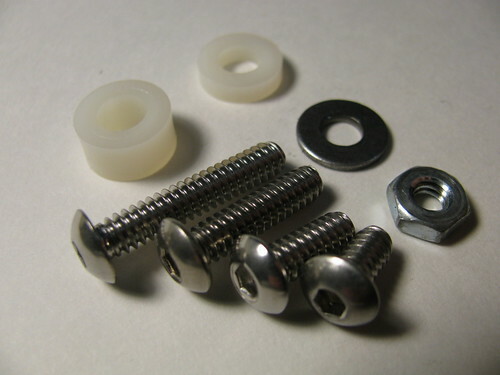 Consider availability of imperial parts, including fasteners, in your locale before ordering. 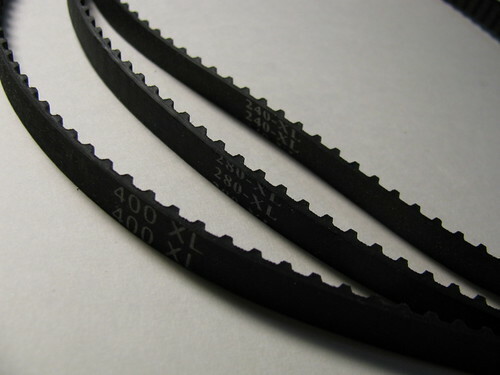 Contraptor uses 6-32, 10-24 and ¼-20 threads. 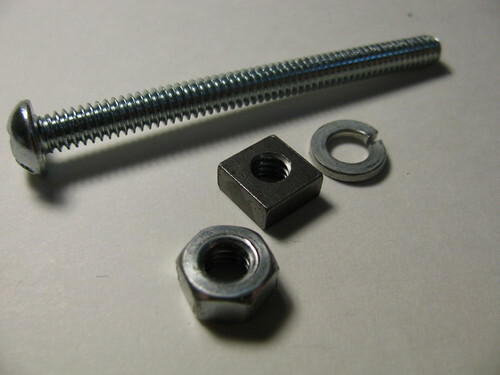 The set uses holes that are intentionally oversize (1/4”) for the corresponding screws (10-24, <3/16” dia). 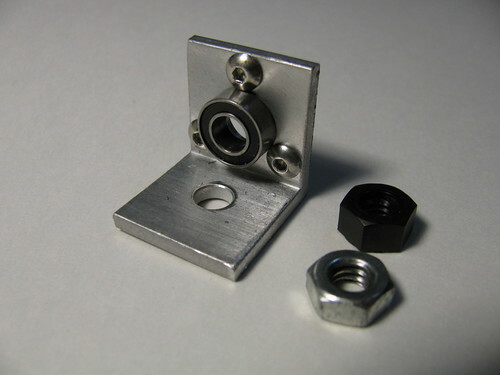 This allows lower part tolerances which means ability to make replacement parts without precision tools and lower part cost. 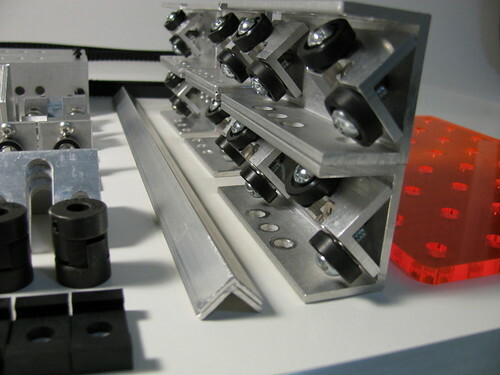 In line with that, the components are adjustable, and once put together, motion assemblies need to be aligned for optimal performance. In many cases the alignment is easy, but sometimes it can be difficult. 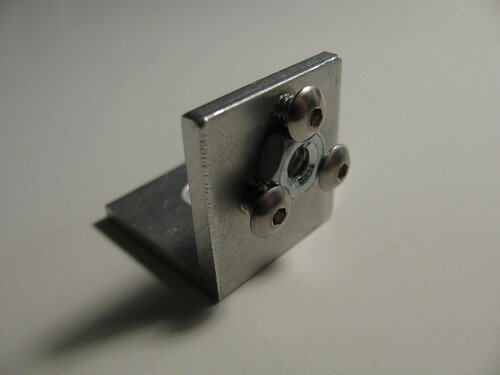 There are several documented design and alignment techniques that should be followed for optimal results. 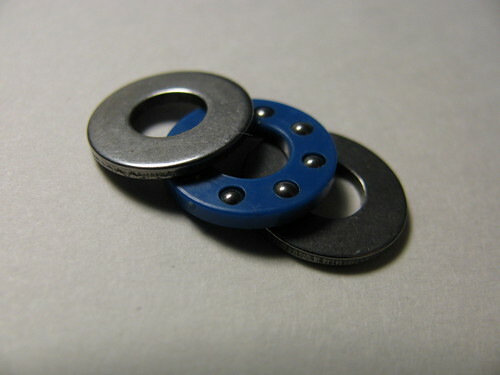 While components work as intended in most cases, they have not been tested in variety of conditions (vibration, temperature, dust/dirt, overloading, long operation time, or their combination). Do not use the set or machines assembled from the set in mission-critical applications. Machines assembled from the set should not be run unsupervised. 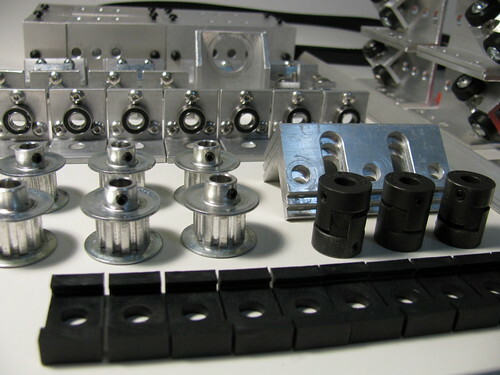 While the set is intended for use with low-power stepper motors, certain drive mechanisms (for example, leadscrew drive) can pinch and potentially break fingers. For the above reasons, keep children away from running mechanisms. Exercise care and have your power supply ON/OFF button easily accessible to avoid injury. 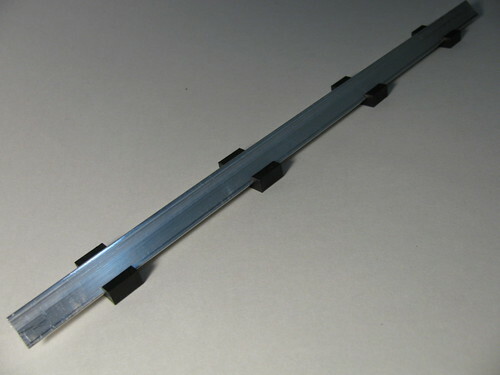 Some edges of some aluminum parts can be sharp. 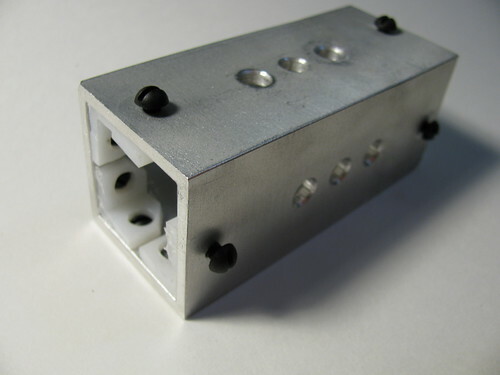 Aluminum is relatively soft and dulls easily, but still, handle parts carefully. 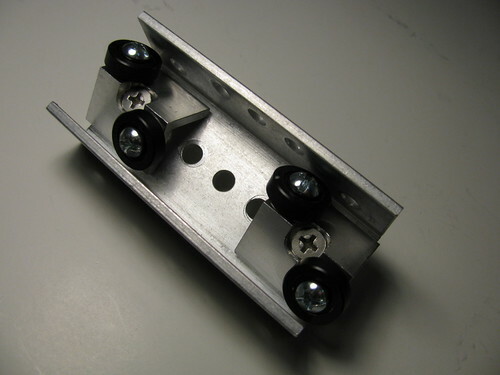 Some of the threaded holes in sliding elements may not be tapped completely. These can be fixed with a power drill/screwdriver and a metal screw. 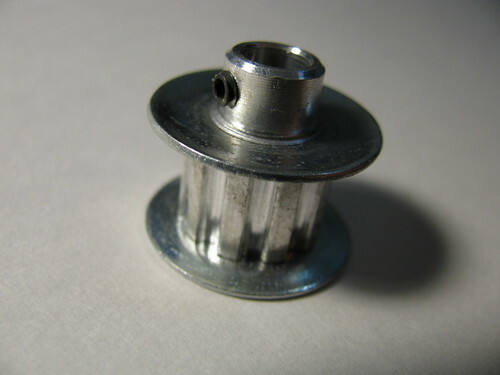 Set screws in the pulleys and motor couplings may occasionally become loose if there is too much vibration. Tighten them well. 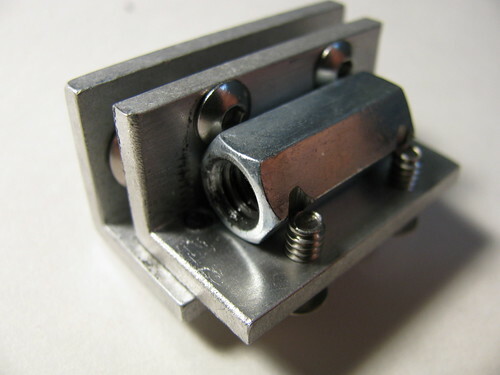 1 source - retail source for DIY/set extension/part replacement. 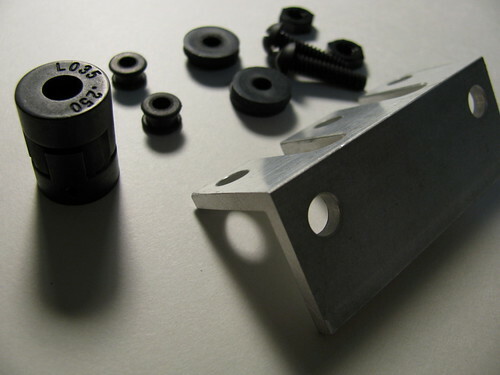 Some kit parts are sourced in bulk and may differ from parts linked here. 10/28/12: update with pics, component list, corrected part list, warnings/expectations, known issues.